A local leader in fundraising*, corporate events, and parties. 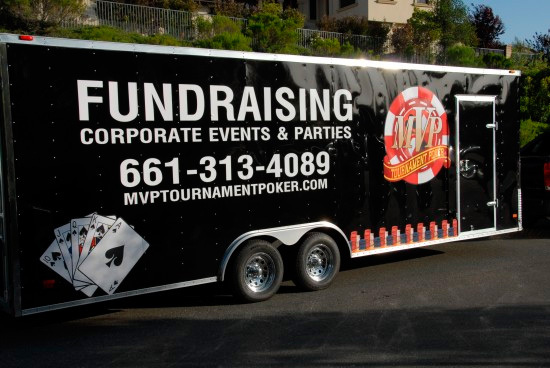 MVP Tournament Poker is the premiere company in the Santa Clarita Valley for Casino Gaming event fundraising, corporate events, and fun parties. Professional staff, amazing equipment with fast and friendly customer service, MVP Tournament Poker is the only choice in Casino Gaming. Small events or large, we can handle your needs with ease. Come experience the ultimate in fundraising, corporate events, and casino parties! 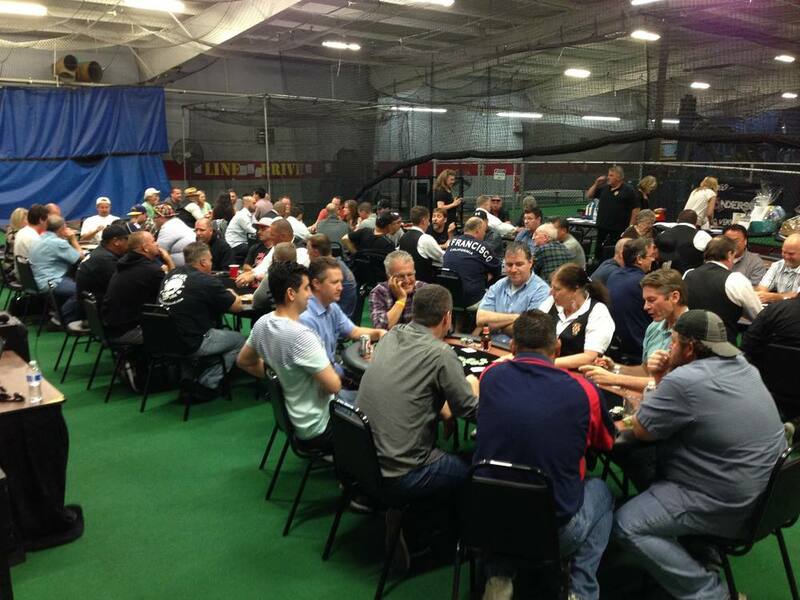 Our SCV REDHAWKS Baseball Team was thrilled with the professionalism of Vince & Mike's MVP Tournament Poker, as we hosted this 100 person Fundraising night. When our friends and families arrived we felt confident knowing they'd have a great time because details were previously discussed and organized with both Mike & Vince, and everything was delivered just as discussed. The professional tables & gaming equipment were very nice, the dealers were all friendly and engaging, and monies were handled very professionally and locked away for safety. I would highly recommend this company for any fundraising event or simply for fun! We were able to raise enough $$$ for our team to travel, plus $$$ that was above our expectations! Great guys, great company! Thank you! thank you! Hosting a poker tournament is hassle free with MVP! From the moment we met to plan a casino/poker night...all the way to the clean up...my experience with MVP was awesome! The MVP team educated our committee and made us feel confident and comfortable. They checked in weeks before the event to make sure we had not missed anything and they were available for any questions. MVP Tournament Poker has a crew that runs the event for you and their equipment is beautiful...you feel like you are in Vegas! They make the night fun and successful! 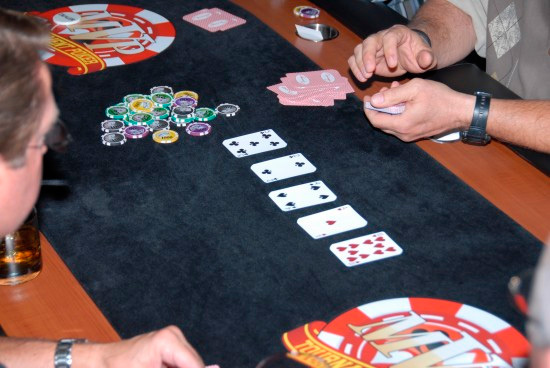 There is no other way to host a poker tournament or casino event than with MVP! 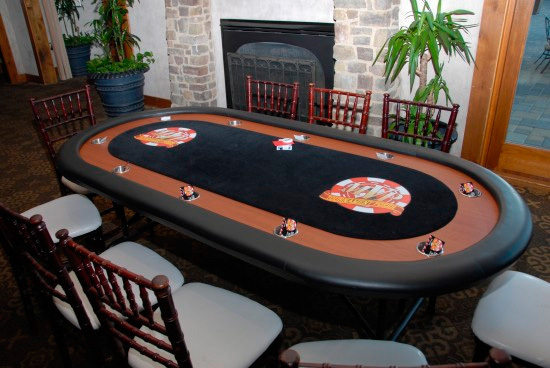 *Fundraising events may utilize ONLY Texas Hold-em tables. Casino games CAN NOT be used for any monetary purposes for fundraising events. Please call for details.